After the World Championships in Malaysia it became increasingly more obvious that the long push has a very limited role in the game of table tennis in this generation. There are really two key priorities on serve receive, shut down the opponents attack or initiate. This has come down to two key shots, the banana flick and the dropshot short push. The banana flick is an area I have been less confident in since the introduction of the plastic ball as it has been harder to generate acceleration over a short space. It is definitely an area I will be training hard on in the coming months to improve my serve receive. Generally dropshot short pushing has been isolated to a small part of the table on the forehand third or quarter on 80% of serve receives. Being able to keep that ball short and low over the net has become crucial in stopping your opponent from following up on serve with an attacking stroke, unless they will commit to coming in and flicking the ball (which is easier to counter anyway). Add Some Angle to Your Shot: Adding a little bit of side angle on the ball will help stop the ball from popping up, keeping it low to the net is crucial in executing a good short receive. If it is too high you risk allowing your opponent a chance to make a strong attack, even if it is short. 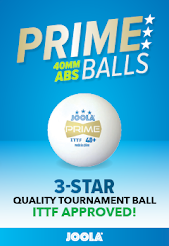 Take the Timing a Little Early: In order to execute an effective low and short dropshot it is important to take the ball a little early in the bounce. Achieving this timing is very important. Too late and it is hard to keep the ball low. Too early and the ball can be hard to control. Keep Your Body Close to the Ball: Ensure you have some flex in your arm (don't reach for the ball) and keep your head and body low to the table and close to the ball. If your body is far away from the ball it again becomes hard to control. 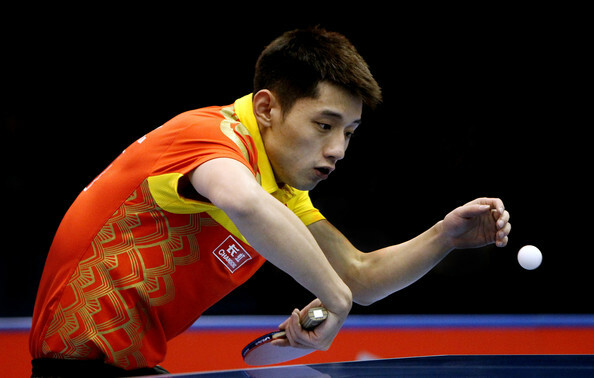 The banana flip has become an integral part of serve receive among professional players especially in the past 5 years with the likes of Zhang Jike and Ma Long really revolutionizing the shot as it became a typical response in their games. Here are some key factors in executing the banana flip. Confidence is Key: When taking the initiative, confidence is a key factor. Part of the reason I 'lost' my flipping game was because I didn't have confidence in my shot. I didn't feel I could execute it anymore and slipped into less effective serve receives. You need to commit to this shot in order for it to have a chance at being effective, especially in matches. Focus on the Wrist: Wrist use is significant in this stroke. To build the maximum amount of acceleration you need to really utilize speed from the wrist. This means keeping loose and maximizing the speed across the range of motion. The more elbow you involve the less acceleration you will be able to achieve, try and stick to 80% wrist and 20% elbow, as a minimum (wrist). Focus on Good Placement: Often making the banana flip is strongly focused on placement. If you nail good placement you can often achieve a follow up attack. A poorly placed flick can result in your opponent attacking and this is not a good outcome. Try and increase the spin as much as you can and aim for the most difficult places on the table and good angles, this will make your chances of a successful follow up greater. So these are two very important areas for serve receive now. Shut down and initiative. While there is still room for the occasional deep and spinny long push, this is all but becoming a golden opportunity for high level players to attack. I found at World Championships that long pushing was very difficult to win points off, even if I tried to make good placements. So now I will go back to practice and focus more on taking the initiative with my serve receives and hopefully it will make a big difference in my game!